This week’s post highlights some of the most influential women in integrated women’s health care and advocacy today. From Your Woman in Washington™ to the brightest and best physiotherapists domestic and abroad…learn about who is shaping tomorrow’s future for women. I’m passionate about Educating, Inspiring & Empowering women to create pelvic health with Physio + Yoga. Shelly received her Physical Therapy degree at the University of Saskatchewan in 1998. Since then, she has been integrating yoga in her physical therapy and sharing it with others in Canada and the United States. Shelly enjoys inspiring a sense of joy, gratitude, love and truth in those whom she treats and teaches. She is also a certified Professional Yoga Therapist and was recently a teaching assistant with PYTS on the road in Arizona. Empower defined: to make stronger and more confident especially in controlling one’s life. Sue has been working in women’s health and continence promotion since 1988. From Brisbane, she is passionate about ensuring the information she gives her patients and other therapists is up-to-date, evidenced-based, and effective. Her impact on women’s health in Australia and around the world is influential and appreciated by many. Teaching professionals serving women to TRULY meet their client where they’re at to support the transformation they desire. Jenny founded Burrell Education in 2007 to “revolutionize the way…fitness professionals train and engage with pregnant, post baby, and female clients…” Her passion for helping the women in her community and the world be treated wholly and as they are has led her to share this both in the United Kingdom, where she resides, and around the world. She believes health and fitness for all body types and stages is key in living a life full of possibilities. Out supporting healers to transform women’s healthcare… trust our patients’ intuition, get to the root case & go beyond self-care. Jessica is “passionate about caring for and empowering women who struggle with women’s and pelvic health conditions.” She also believes educating and supporting clinicians is equally as important. Jessica works to equip her patients and other professionals with the tools to transform themselves and others. Using integrative medicine, her background in nutrition and experience coaching, Jessica runs her company, The Integrative Pelvic Health Institute, to empower women who are working to improve pelvic health in the United States and around the world. Women and mothers deserve better from our government – electing more women will make government more effective. Valerie is working hard in Washington, D.C. as the Advocacy Coordinator for Mom-mentum. “She is an advocate for recognition of mothers’ contributions to our national welfare and a proponent of economic security and independence for those who care for family members.” Her passion for ensuring the rights and welfare of women in the United States and around the world has lead her to make a great impact in the political facet of gender equality. Valerie enjoys living in D.C. and watching the work of the advocates around her. Self-care is the art of attuning and responding to your needs and desires. It’s not about adding something to your to-do list; it’s about cultivating a new way of being. “An internationally-recognized coach and consultant, speaker and author, Renée Peterson Trudeau is founder of Renée Trudeau & Associates and sister company, award-winning Career Strategists.” Renee is passionate about helping men and women find balance in their lives. She has written multiple books for parents who are trying to manage family life and business. She also speaks and leads life balance workshops for multiple Fortune 500 companies. She believes that, with balance, women CAN have it all! You got your pelvic health in my sports medicine. Better together! Julie has been working in sports medicine and women’s health for over 18 years. 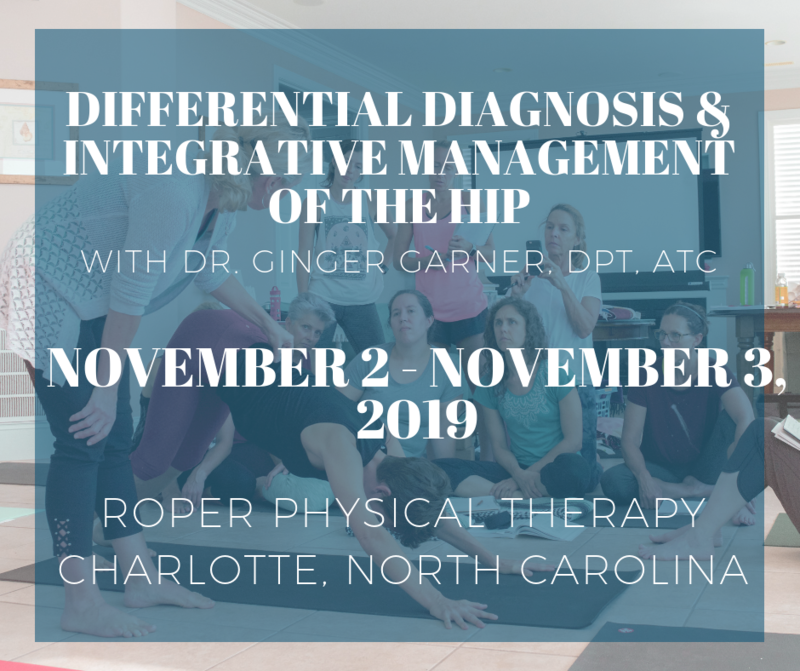 “Her passion is to revolutionize the way women recover from injuries and pregnancy and return to high levels of fitness and their chosen sport.” She integrates diaphragm and pelvic floor health into core strengthening when working with women in all stages of life. Julie also shares her evidence-based approach to women’s health across the United States and internationally. We want to thank all of the influential women who were a part of helping Ginger celebrate International Women’s Day. These women will continue to make serious inroads into improving the future of women’s well-being and status world wide – they are definitely women to keep on your watch list.